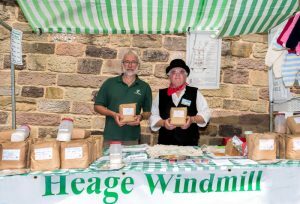 Heage Windmill’s Derbyshire flour is rich, flavourful and rustic, adding that little something extra to anything from your crumble to your sourdough. 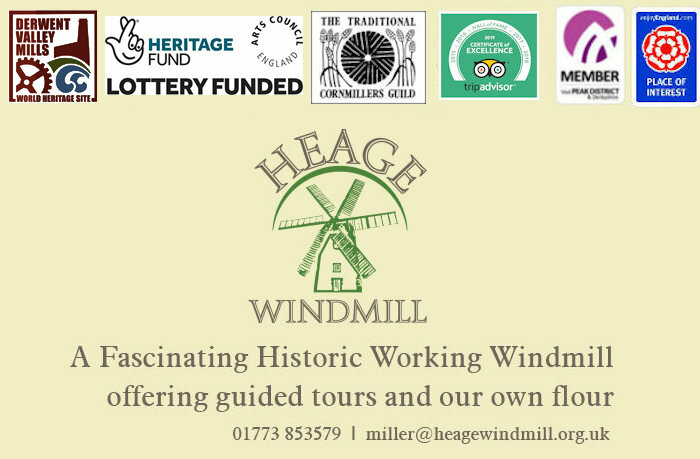 The flour we sell at Heage Windmill is stoneground at the mill from wheat grown in this country, harvested in a traditional way, in a natural environment free from synthetic fertilisers and pesticides. When the grain is passed directly through the millstones what comes through is wholemeal flour. 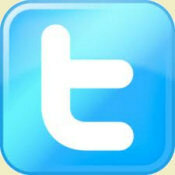 Nothing is added, nothing is taken away. 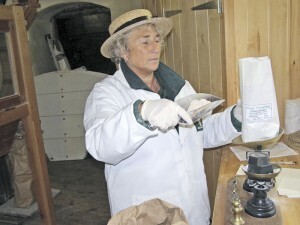 To obtain our other flour and products, the wholemeal has to be sifted by passing it through the flour dresser. Because this involves an extra process, the other flours are a little more expensive. All the products are packed by hand. 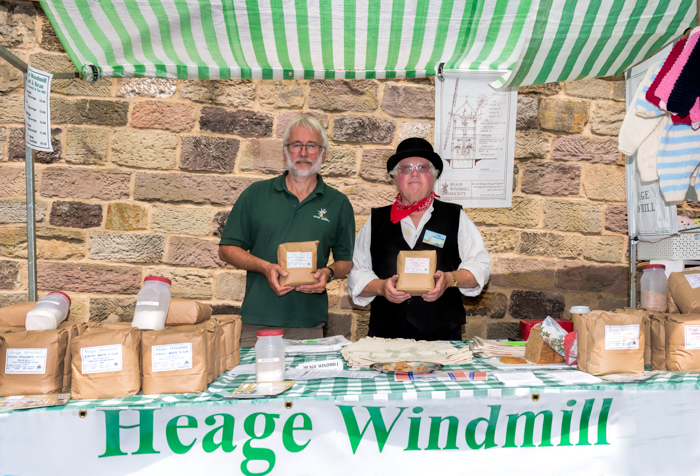 Since we rely on a good wind, and volunteers, flour sales are subject to availability. Quoted weights are averages. Heage flour is essentially a bread-making flour but can be used for other baking if a raising agent such as baking powder is added to make cakes and scones rise. It can be used successfully for many recipes that require no rise, such as crumbles, pastry dishes and pancakes. 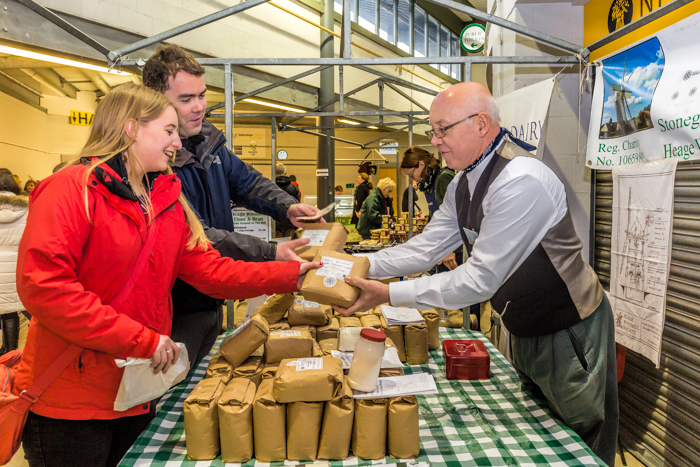 It is a heavier flour than those milled by more modern methods and has a pleasant old fashioned ‘nutty’ flavour. 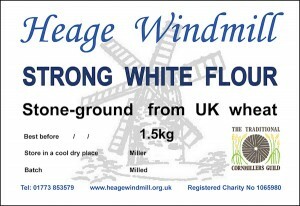 Heage Flour works very well in bread making machines. An ear of wheat has starch for bulk to feed the yeast, germ to give essential fats and oils enhancing the breads nutritional value, bran for good digestion, and gluten which allows the bread to stretch and rise. To produce a good wheat loaf, use a strong bread flour. 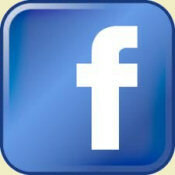 What makes a bread flour different from that used for cakes and biscuits is the gluten content. Gluten is a protein which occurs in all wheat in varying amounts. Wheat grown in hot dry summers will have a higher gluten content (known as hard or strong). The high gluten content will ensure an even rise and a lighter loaf.